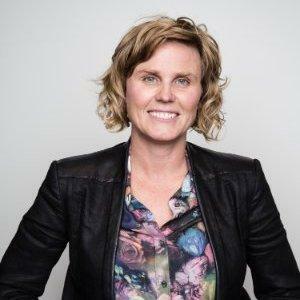 Leading McCann Worldgroup Australia, Nicole is one of Australia’s few female creative Agency CEO’s. She holds Board positions on the Communications Council (Australia’s advertising and creative industry body) as Deputy Chair and is a national director on the Ronald McDonald House Charity Board. She has also completed the Senior Managers Leadership Course at Omnicom University in partnership with Harvard University available only to the top tier rated talent. Before joining McCann, Nic was the CEO at DDB Sydney having worked her way up from Managing Partner on Volkswagen Australia. Under Nic’s leadership, DDB’s culture was transformed into a modern and diverse culture, making them one of Australia’s most successful creative agencies and employer brands. Nic was awarded Campaign’s Asia Pacific’s best Agency Account Service person in 2013 when she ran some of Australia’s biggest advertising businesses in the region, including Volkswagen and McDonald’s. She has a passion for growing Australian brands and has experience working on Telstra, Westpac, Arnott’s and GIO. Nic comes from the Hunter Valley, has lived in a number of different places around Australia whilst growing up, and now lives in Bondi with her family. She is a genuine Aussie character with a reputation for her fierce intelligence, a passion for innovation and for building enduring, trustworthy relationships both internally and externally. Nic is a true champion for creativity, and as the CEO is focussed on creating the right conditions for creativity to thrive.